The history of the Lachance family has been closely tied to the Isle-aux-Grues Archipelago since the beginning of the nineteenth century. It is then, in 1826 that Mr. Michel-Olivier Pépin a.k.a. Lachance, a farmer from Île d’Orléans, becomes owner of Île-au-Canot, situated just north of Isle-aux-Grues. He builds a house and stable to take up residence with his young family. 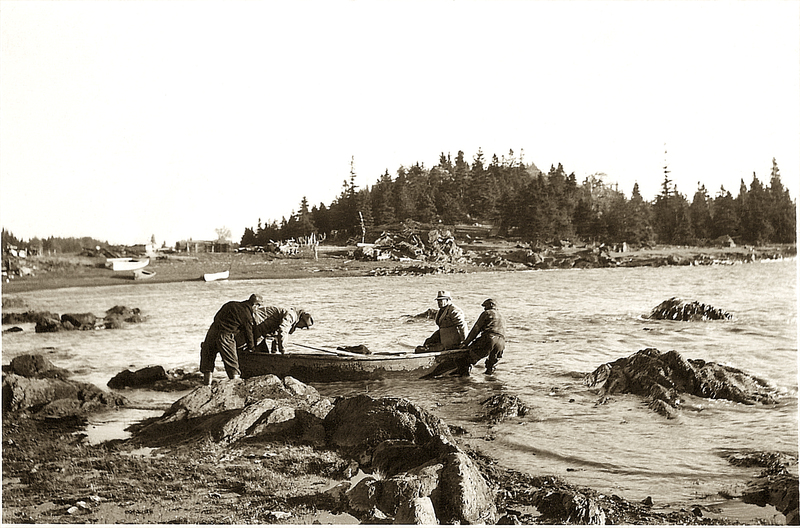 For more than a century, from 1826 to the mid-nineteen hundreds, five successive generations of the Lachance family inhabited Île-au-Canot (Canoe Island), aptly named after a canoe of Father Le Jeune ran aground there. The island was handed down from father to son: Michel-Olivier, Gabriel, Liguori, Joseph Liguori and finally Joseph. Living on your very own island – a concept that surely appeals to the romantic in you! However, in the nineteenth century, with twelve children or more per family, no electricity, telephone, services or businesses nearby, life was often far from ideal. One had to master many trades to be able to farm, build and repair without outside help. In any case, islanders had to leave periodically, to go to Isle-aux-Grues or Montmagny to procure supplies and necessities that the family could not provide itself. In winter, before the formation of an ice bridge between Île-au-Canot and Isle-aux-Grues, which allowed the young to go to school, iceboats were used on the frigid waters. With such a solid background in winter boating, it comes as no surprise that the Lachances have known great success in the traditional Canoe race held during the Quebec Winter Carnival, having won the first eight competitions. This expertise in iceboat handling gave rise to the design of the UMA17 rescue craft, which all public and maritime organizations were anticipating for use in rapid and safe assistance in winter conditions. As life on Île-au-Canot grows more and more demanding, mainly because of the advantages of modern life enjoyed elsewhere, Joseph Lachance decides to leave the island, with his family, to make Montmagny home. In spite of being on dry land, Joseph Lachance keeps with tradition and sails the St. Lawrence, both for his and others pleasure. 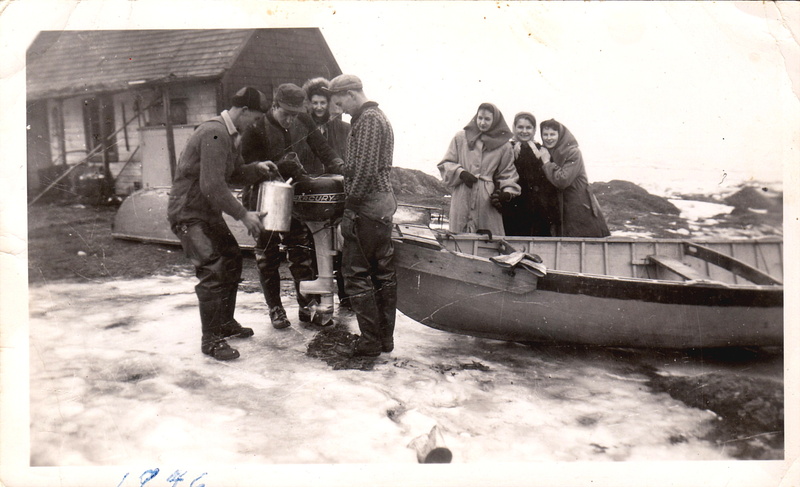 Around 1950, Joseph Lachance manages a company, which doubles as a commercial fishery and hunting outfitter. Thereafter, he founds a small shipbuilding enterprise that produces crafts for fishing and yachting. A good captain feels the wind change and charts his course accordingly. Taking over as president of the family business in 1982, François Lachance is well aware that commercial fishing is on the decline, triggering a decrease in demand for new boats, all the while realizing the increase in touristic development on both shores, Charlevoix to the north and Côte-du-Sud to the south. In the early 1980’s, François Lachance, a man of vision, is the first to offer whale-watching tours between Tadoussac and Baie-Sainte-Catherine. It would be several years before the cruise business could really come into its own on the south shore, for lack of infrastructure and promotion of the tourist industry. However, events such as the dredging of the harbour at Berthier-sur-Mer and the touristic development of the quarantine station at Grosse-Île lend a hand in launching the cruise business in the Côte-du-Sud region. To underline its change in orientation, Jos Lachance et Fils (Jos Lachance and Sons), becomes Les Croisières Lachance (Lachance Cruise Lines) in 1990. In spite of humble beginnings, the family remains optimistic. Their patience pays off, as in 1997, the 150th anniversary of Grosse-Île makes for a 25% increase in business, confirming that cruises are a must for all visitors to the Côte-du-Sud region. 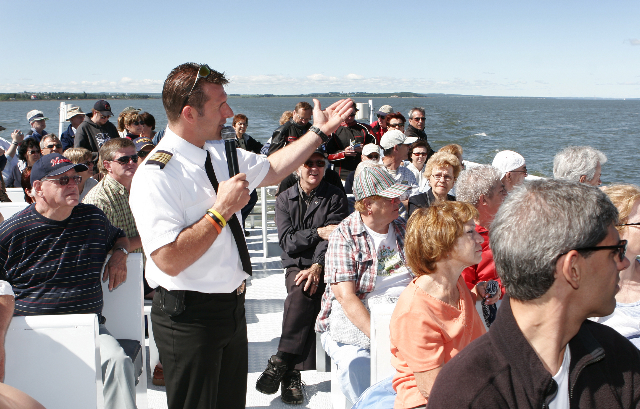 “Setting sail with our captains is to relive two centuries of history. Let our story telling, our knowledge of the life of the islanders and our passion for the river and its islands captivate you.